Welcome today's stop on the Assassin of Truths ( Library Jumpers #3) by Brenda Drake hosted by Chapter by Chapter Today's stop is a review as well as a chance to enter the great giveaway that is being run throughout this tour. 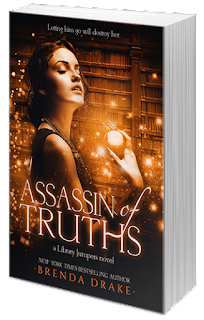 Assassin of Truths was a satisfying conclusion to the Library Jumpers Trilogy. Full of action of action and excitement right from the word go, book 3 picks up a month or after the end of book 2. Gia and her friends are still reeling in the aftermath of the events of book 2, the grief at those they lost and for Gia especially the part she played in it all. However there are chiavi to find, a tetras to release and conquer and two worlds to save so Gia and her friends are determined to get on with the task at hand. 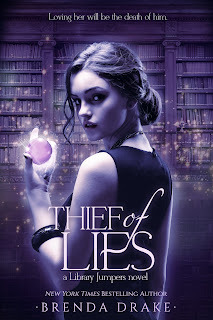 The pace of the story did not let up the whole way through, each page seemed to reveal a new secret or betrayal or surprise and raise the stakes just that little bit higher. This was done cleverly in a way that both progressed the story and kept me hooked into the book, holding my breath, from beginning to end. I also found it easy to get back into the flow of the series. 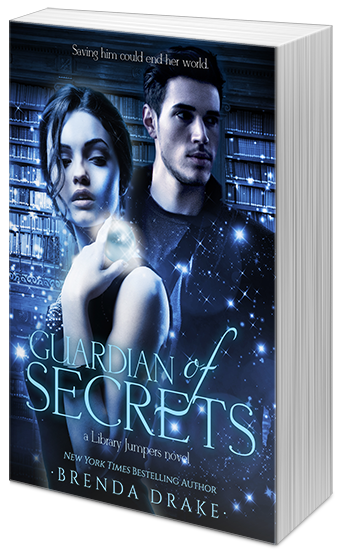 It’s been a year since I read Guardian of Secrets but I found it relatively easy to slip back into the story. I really liked the growth we saw in many of the characters, in particular Gia, from the beginning of the series to this last book. She really seemed to learn and grow after each thing that happened and this made me like her all the more. I also liked seeing how her relationships with others, with Arik and Bastien especially, grew and changed as the characters did. It felt like virtually all Gia’s relationships with other characters changed through out the series, many strengthening and others changing into something completely different, which is how it is in life especially when there are epic world ending events in play. What I loved most about the novel was the world building. Ms Drake creates a world that while dealing with all sports of strife, is one I would love to visit. 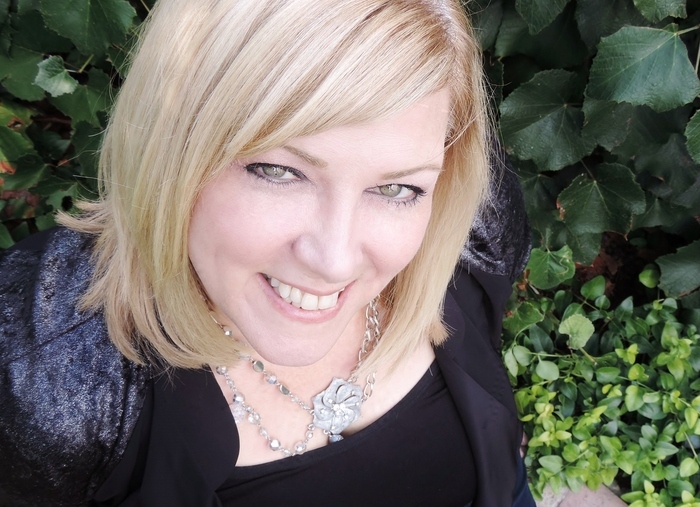 Right from the beginning, the idea of being able to jump from place place via library and through a page in a library book, grabbed my imagination and the worlds and havens that Ms Drake created within this idea made not want to leave at the end. All in all I really enjoyed this book and this series as a whole and I am sad that this appears to be the last book in this world. I do know that regardless of whether its set in this world or in some other, I will be interested in reading what Ms Drake writes next. I have no qualms giving this book 4 stars for excitement, action, a great story and a world you will wish you could stay in. I haven't read a lot YA books. I definitely have to read this series. My favorite YA book is Haven by Mary Lindsey.